During exercise, hormonal levels shift and this disruption of homeostasis alters the metabolism of glucose and other energy-bearing molecules. The breakdown of glucose to provide energy begins with glycolysis. To begin with, glucose enters the cytosol of the cell or the fluid inside the cell not including cellular organelles. Next, glucose is converted into two, three-carbon molecules of pyruvate through a series of ten different reactions. A specific enzyme catalyzes each reaction along the way and a total of two ATP are generated per glucose molecule. Since ADP is converted to ATP during the breakdown of the substrate glucose, the process is known as substrate-level phosphorylation. During the sixth reaction, glyceraldehyde 3-phosphate is oxidized to 1,3 bisphosphoglycerate while reducing nicotinamide adenosine dinucleotide (NAD) to NADH, the reduced form of the compound. 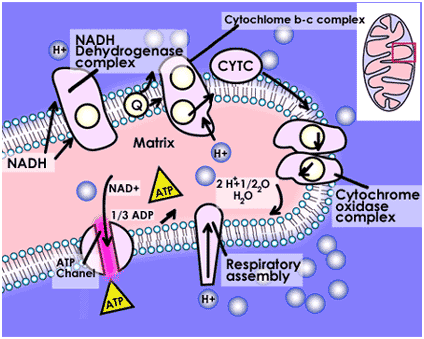 NADH is then shuttled to the mitochondria of the cell where it is used in the electron transport chain to generate ATP via oxidative phosphorylation. The most important enzyme in glycolysis is called phosphofructokinase (PFK)and catalyzes the third reaction in the sequence. Since this reaction is so favorable under physiologic conditions, it is known as the “committed step” in glycolysis. In other words, glucose will be completely degraded to pyruvate after this reaction has taken place. With this in mind, PFK seems as if it would be an excellent site of control for glucose metabolism. In fact, this is exactly the case. When ATP or energy is plentiful in the cell, PFK is inhibited and the breakdown of glucose for energy slows down. Therefore, PFK can regulate the degradation of glucose to match the energy needs of the cell. This type of regulation is a recurring theme in biochemistry. 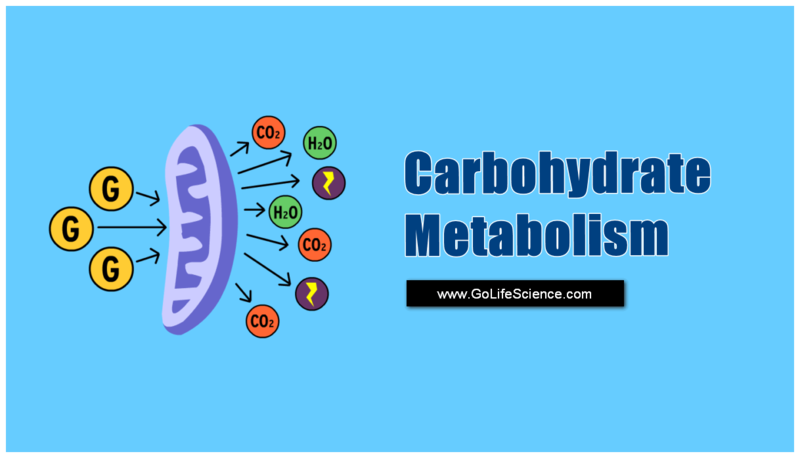 Kreb’s Cycle is the central metabolic cycle of the Carbohydrate metabolism and all metabolic pathways. There are many compounds that are formed and recycled during the Krebs Cycle (Citric Acid Cycle). These include oxidized forms of Nicotinamide adenine dinucleotide (NAD+) and Flavin adenine dinucleotide (FAD) and their reduced counterparts: NADH and FADH2. NAD+ and FAD are electron acceptors and become reduced while the substrates in the Krebs Cycle become oxidized and surrender their electrons. The Krebs Cycle begins when the pyruvate formed in the cytoplasm of the cell during glycolysis is transferred to the mitochondria, where most of the energy inherent in glucose is extracted. In the mitochondria, pyruvate is converted to acetyl CoA by the enzyme pyruvate carboxylase. In general, Acetyl-CoA condenses with a four-carbon compound called oxaloacetate to form a six carbon acid. This six-carbon compound is degraded to a five and four carbon compound, releasing two molecules of carbon dioxide. At the same time, two molecules of NADH are formed. Finally, the C-4 carbon skeleton undergoes three additional reactions in which guanosine triphosphate (GTP), FADH2 and NADH are formed, thereby regenerating oxaloacetate. 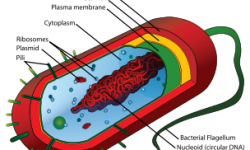 FADH2 and NADH are passed on to the electron transport chain (see below) that is embedded in the inner mitochondria membrane. Three complexes work in sequence to harvest the energy in NADH and FADH2 and convert it to ATP: NADH-Q reductase, cytochrome reductase, and cytochrome oxidase. The final electron acceptor in the electron transport chain is oxygen. Each successive complex is at lower energy than the former so that each can accept electrons and effectively oxidize the higher energy species. In effect, each complex harvests the energy in these electrons to pump protons across the inner mitochondria membrane, thereby creating a proton gradient. In turn, this electro potential energy is converted to chemical energy by allowing proton flux back down its chemical gradient and through specific proton channels that synthesize ATP from ADP. Approximately two molecules of ATP are produced during the Kreb’s cycle reactions, while approximately 26 to 30 ATP is generated by the electron transport chain. In summary, the oxidation of glucose through the reduction of NAD+ and FADH is coupled to the phosphorylation of ADP to produce ATP. Hence, the process is known as oxidative phosphorylation.